Like our socks in the wash, some of the most important pieces in our board games seem to disappear without a trace. If you’ve experienced such a loss with your Scrabble set, you know there’s not much to play with when you’ve got more Qs than As. If you’ve been looking for a better alternative to trashing the entire game, why not make some scrabble coasters with your remnant pieces instead? 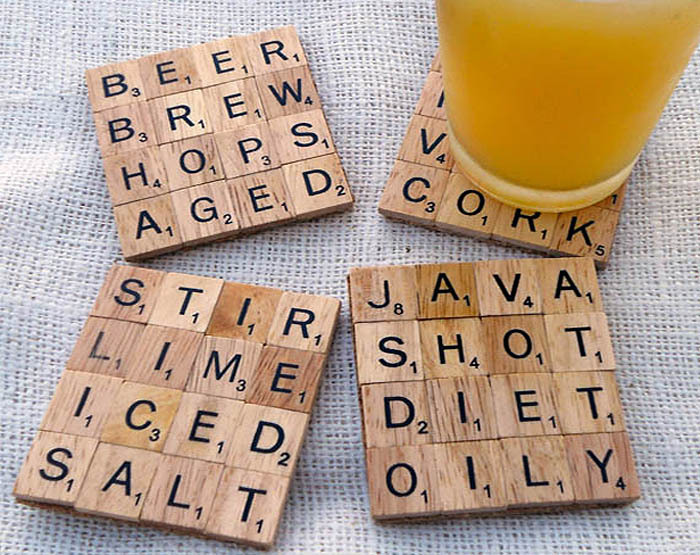 All it takes is a little bit of super-strength, eco-friendly glue and a bit of clever wordplay, and viola — you’ve got yourself a new set of super cool scrabble coasters! But if you’re less than crafty, don’t fret,you can also purchase a customized set on here on Etsy from MadeByMarcy.